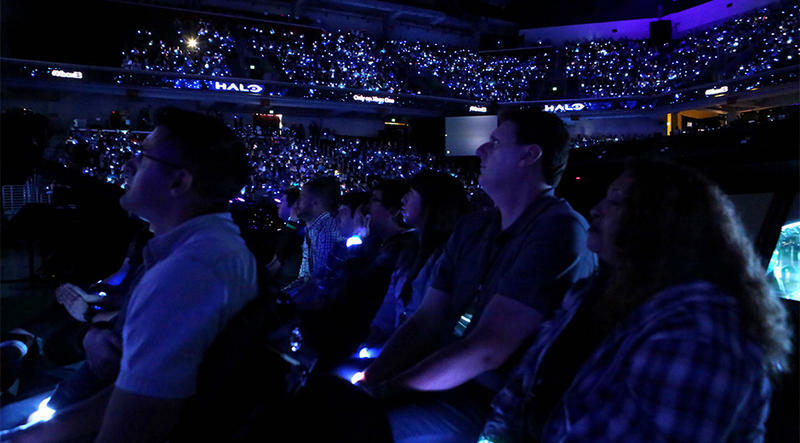 Watch the Xbox E3 2015 press conference right here! Microsoft kicks off a day packed with press conferences with their own show, starting at 12:30 p.m. EDT / 9:30 a.m. PDT today. We can look forward to seeing games like Forza Motorsport 6, Halo 5: Guardians and Rise of the Tomb Raider. All three are set to hit this fall, and it'd be a huge surprise if we didn't see some gameplay from each. Gears of War announcements are almost guaranteed at this point, with a release date for the remastered Gears of War and maybe a teaser for Gears of War 4. Microsoft paid $2.5 billion for Minecraft, so they're sure to give it some screen time as well. We know that Remedy's Quantum Break, the next Crackdown game, Platinum's Scalebound are all skipping E3 this year. What surprises might Microsoft have in store? Now that the Kinect is set aside and Microsoft is on the brink of releasing Windows 10, we can expect to see some more functionality that takes advantage of both, as well as some idea of where the Xbox One is headed in terms of new features. I'm hoping Microsoft announces the rumored DVR capability. HoloLens is sure to be on display as well, and maybe we'll even see how Microsoft plans to integrate it into the Xbox One experience. For games, we know Rare isn't working on Kinect games anymore, so we're hoping they're working on something more focused on core gamers, whether it's a new IP or an old one. Battletoads, Banjo Kazooie, or Blast Corps, anyone? Microsoft has been researching game streaming options – primarily for their Xbox One to Windows 10 functionality, but they could be getting ready to unveil their take on game streaming for their massive Xbox 360 library. We have a lot of known quantities, but plenty of room for surprises when the show starts in just a few minutes.